A veteran litigator who’s often called upon to teach advocacy skills to others, Reece Williams focuses his practice at Callison Tighe on trial work. He’s experienced in areas including personal injury, professional liability, commercial and government litigation. He’s tried numerous cases resulting in verdicts in excess of a million dollars. He is also a certified mediator and arbitrator. As an instructor, Reece has appeared in more than 60 trial demonstrations in more than 30 states. He’s also taught at the National Trial Academy of the National Judicial College in Reno, Nevada. He has been guest speaker at the University of South Carolina School of Law and the Charleston School of law. Reece long has been active in organizations devoted to furthering the legal profession. He’s a member of the by-invitation-only American Board of Trial Advocates, serving as its National President in 2000. He is a member of the American Judicature Society and International Society of Barristers. He was president of the Richland County Bar Association in 2002. Reece’s professional awards include the James Petigru Compleat Lawyer and the South Carolina Trial Lawyer of the Year. He’s also long been a leader in the Columbia community as well. Reece is or was a board member of Workshop Theatre, Columbia Ballet, Kitani Foundation, South Carolina Nature Conservancy, South Carolina Red Cross, Columbia Museum of Art Board of Visitors, South Carolina Aquarium Commission, Columbia Housing Board, Salvation Army Board, University of South Carolina School of Public Health Board, Thomas Cooper Society of the University of South Carolina Library, University of South Carolina Ex Libris Society, South Carolina Humanities Council, International Center for Birds of Prey, South Carolina Chamber Orchestra and South Carolina Philharmonic Orchestra. He is a Past Vestryman and Canvass Chairman of Trinity Episcopal Cathedral. Reece received a degree in English from the University of North Carolina and earned his Juris Doctor from the University of South Carolina School of Law. DISCLAIMER: THE FOLLOWING EXAMPLES ARE INTENDED ONLY TO BE REPRESENTATIVE OF MR. WILLIAMS’ PRACTICE. MR. WILLIAMS IS SOLELY RESPONSIBLE FOR THIS CONTENT. THESE EXAMPLES ARE NOT INTENDED TO, AND CANNOT BE RELIED UPON TO PREDICT THE RESULTS IN ANY OTHER CASE. WRB Ltd. Partnership v. County of Lexington, 369 S.C. 30, 630 S.E.2d 479, 2006 WL 1330864, , S.C., May 15, 2006(No. 26149.) In this suit, representing a landowner, the county was required to pay for property contaminated by an adjacent landfill based on inverse condemnation. L-J, Inc. v. Bituminous Fire and Marine Insurance Company, 366 S.C. 117, 621 S.E.2d 33, 2004 WL 3540903, , S.C., September 26, 2005(No. 25854.) Representing the Independent Insurance Agents and Brokers of South Carolina as amicus curiae, this appeal resulted in novel interpretation of policy provisions. Hamiter v. Retirement Div. of the South Carolina Budget and Control Bd., 326 S.C. 93, 484 S.E.2d 586, 1997 WL 207997, , S.C., April 21, 1997(No. 24603.) 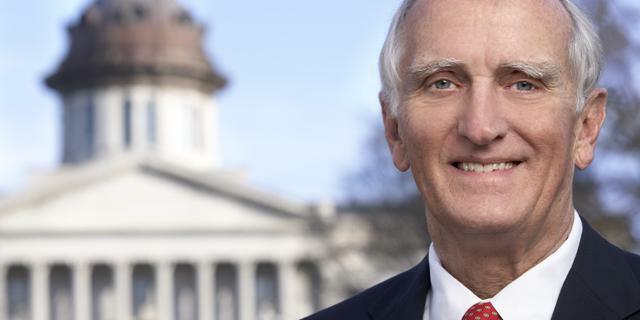 This action successfully defended the Senate of South Carolina against a former employee. Charleston Television, Inc. v. South Carolina Budget and Control Bd., 301 S.C. 468, 392 S.E.2d 671, 1990 WL 78076, , S.C., April 30, 1990(No. 23201.) This was a complex dispute between competing broadcasters seeking South Carolina Educational Television as a tenant in which Education Television, the client, was successful. Representing the defendant, this was a successful defense to claims of unfairness in several real estate transactions.